Namyang Dairy has been struggling to boost its falling profitability as it fails to recover from an unprecedented 2013 scandal in which its abusive business practices toward sales contractors were made public. In addition to the tarnished brand image, the company has long been grappling with declining milk consumption amid the low birthrate while the exports of its baby formula and other processed dairy products to China have slowed since the Chinese government retaliated against Korean firms operating there after Korea's deployment of a U.S. anti-missile battery. Even though Namyang decided to raise the prices of milk and other dairy products to bolster its bottom line, things will not likely get any better as it continues to be haunted by consumers' negative views and product boycotts, according to industry analysts. For its flagship product, the prices of a 200-milliliter pack Delicious Milk GT will be increased by 33 won and the 500-milliliter pack will go up by 50 won. Also, its 1-liter pack will be downsized to 900 milliliters, which is equivalent to a 10 percent price hike. "The hike is the first since 2013," Namyang said. "Along with the rise in unprocessed raw milk, it is to address accumulated increases in production and distribution costs and personnel expenses during the period." Namyang's earnings have been on a downturn since 2013 when its abusive practices were first reported and triggered a public boycott of its products. In 2012, the firm posted 1.37 trillion won in sales ($1.2 billion) and a 63.73 billion won operating profit. 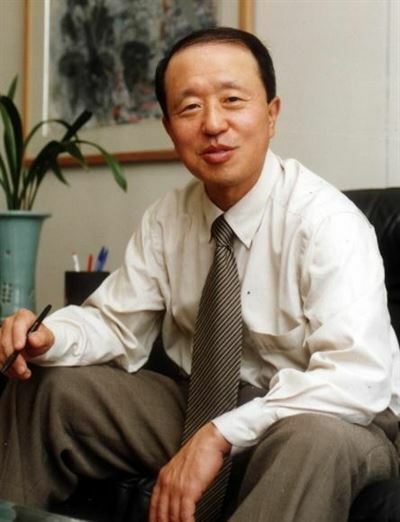 However, it quickly dropped a year later to 1.23 trillion won in sales and a 17.45 billion won operating loss. Since then, the company has been making various moves to recover ― promising to improve distribution structure, hiding the company's name and logo from its products and resorting to the Chinese market ― but the operating profit failed to show a noticeable recovery. In 2014, its sales retreated to 1.15 trillion won while operating loss expanded to 26 billion won. A slight rebound was made the next two years, posting operating profits of 20.1 billion won in 2015 and 41.8 billion won in 2016, but the firm's operating profit last year again plunged by 87.9 percent from a year earlier to stand at 5.1 billion won. Last year's backpedaling came amid China's economic retaliation over Korea's decision to deploy a U.S. Terminal High Altitude Area Defense system on its soil. Since 2013, Namyang has diversified its portfolio by focusing on exports to China, but the market, which accounted for 90 percent of the firm's export, saw a 27 percent decline last year. Such a downturn is continuing this year, with its first-half sales this year declining by 8 percent from a year earlier to 523.3 billion won. During the same period, the operating profit slightly increased to 2.7 billion won, but it is still far short of what the company was raking in before 2013. Analysts say it seemed to be inevitable for Namyang to increase the milk price, due to its slow recovery from the 2013 fiasco. "Compared to its rival Maeil Dairies, which is posting handsome numbers due to robust growth of its organic milk and cup coffee products, Namyang is suffering from the slowing sales of its key products as well as worsening profitability of its coffee products," KB Securities analyst Park Ae-ran said. "For Namyang, the price hike seemed inevitable to cope with such issues." The nation's milk consumption has been stagnant for the past 30 years amid a falling birthrate and increasing popularity of plant-based milk alternatives. The average Korean consumed 29 kilograms of white milk in 1988 and 26.6 kg in 2017.